"totally reliable, professional and friendly (non-Klingon-speaking)"
... a complete managed mobile website, hosting & domain name - just £95! More business is transacted on mobile devices than ever and it's rapidly increasing over traditional PC browsing. 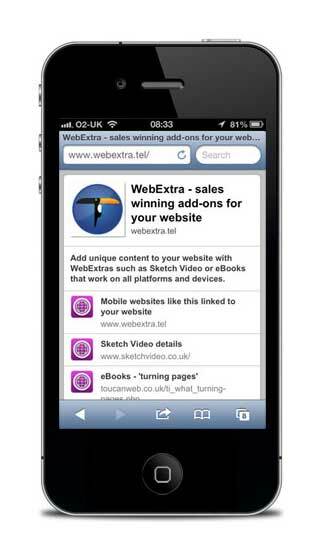 Is your business website mobile friendly or are you missing business from those customers? A Toucan .tel website is a quick and effective way to affordably get a mobile website. Secure your business .tel name today and be seen by your mobile customers. .tel domains and services are renewable annually. "How do I get my .tel website?" We work with you and the process is remarkably quick and straightforward, invariably completed within a day.